InterCasino's casino software has been developed by Cryptologic, a now Irish-based company which is one of the key players in the online casino industry. 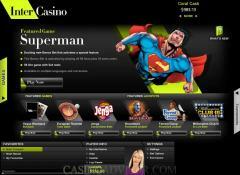 Crytptologic has been recognized by Gambling Online Magazine for "best Casino Software" for the last three years. 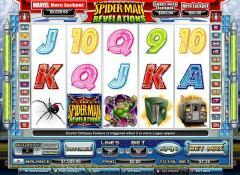 And that is for good reason, as the company is first to market with many new and innovative gaming product offerings. That makes for a good match with InterCasino. The InterCasino lobby is styled like a brick-and-mortar casino, which is nice touch, and it offers the kind of convenience that allows you to access all the games easily. And what an outstanding selections of games it is - in the neighborhood of 200, in fact, including almost 30 multi-line slots, more than a dozen video poker games, classic slot games like Flower Power, Lucky 7s, Red Planet and Storm the Castle, and of course, numerous table games like baccarat, blackjack, Caribbean Stud, Pontoon, craps, Red Dog and more. 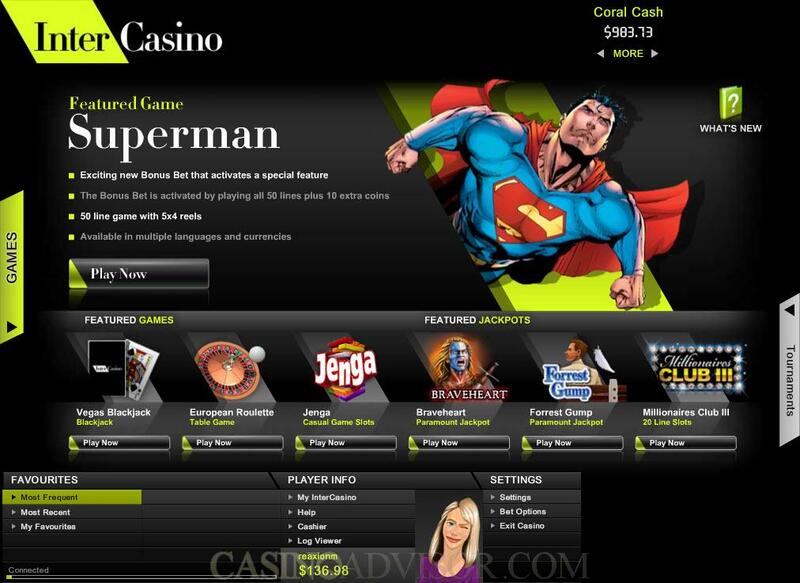 There are eleven multi-player games available, including baccarat, blackjack, craps and roulette. 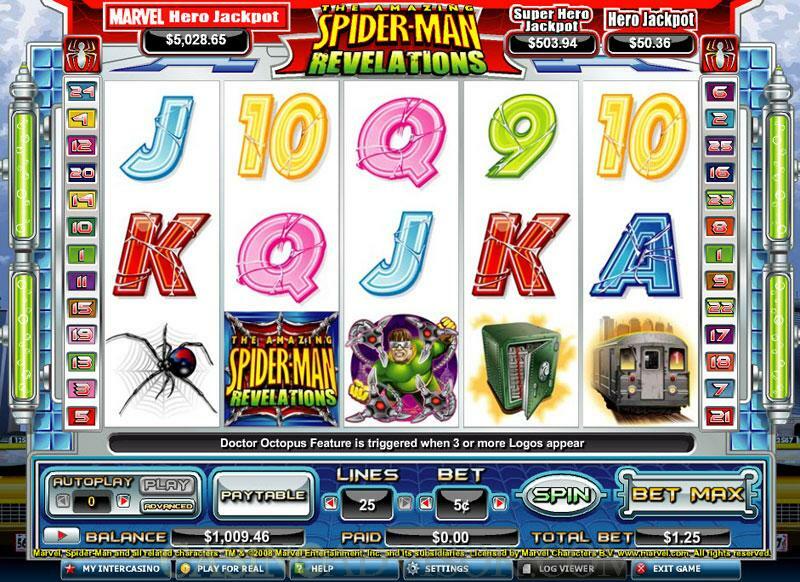 Progressive jackpots can be contested for in table games, slot games and video poker. The software allows for real-time chat with other players, which is not available at a lot of places. Not only can you compete in tournaments that are offered on a regular basis at InterCasino, you can also engage private rooms if you want. That means you can choose to play one-on-one with the dealer, or bring friends of your choosing onto a table to play blackjack, baccarat, Caribbean Stud, roulette, Three Card Poker or Let It Ride. Between the 3-D graphics and atmospheric sound, there isn't anything not lifelike about the casino experience. InterCasino is, in a word, outstanding.